I remember vividly few days after a Lagos based medical doctor, Allwell Orji committed suicide by jumping into the Lagos lagoon, operatives of the Rapid Response Squad (RRS) on Friday rescued two women who attempted to commit suicide by jumping into the lagoon. 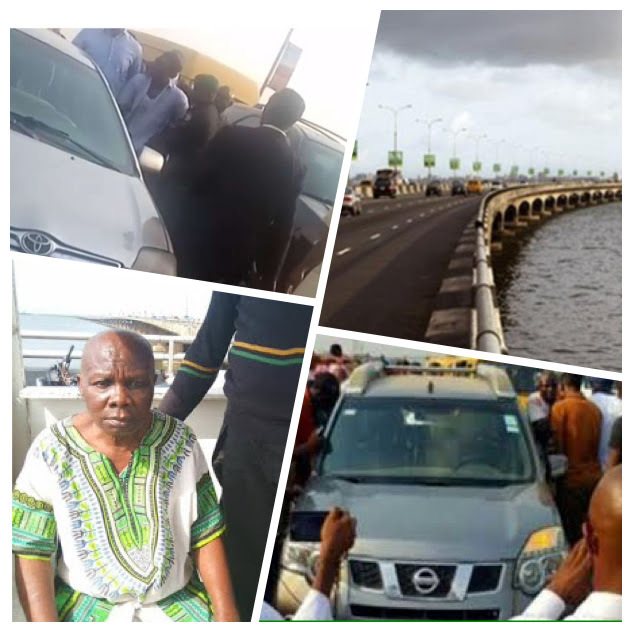 The women, in separate incidences, attempted to jump into the lagoon from the Third Mainland Bridge and Carter Bridge in Lagos. Abigail Ogunyinka succeeded in jumping into the lagoon but was quickly rescued by divers. People Democratic Party, (PDP) criticized President Buhari-led government for the rampant suicide mission. According to PDP, All Progressives Congress, (APC) and Mr President are to be blamed for recent reoccurring suicides and suicide attempts in the country. The party in a statement on its official twitter handle, @OfficialPDP said: “Nigerians should hold APC Nigeria and Muhammadu Buhari government responsible for the rampant suicide and suicide attempts”. “The failure of APC Nigeria led government to provide basic amenities and revive our ailing economy has forced Nigerians to commit suicide. "APC Nigeria professionally corrupt and vision-less government is reason for suicide and many killings in Nigeria”.